"We leave you much that is undone. There are great ideas undiscovered; breakthroughs that are available to those who can remove one of truth's protective layers." Some people believe this is a reference to NASA faking the moon landings. Not even close. Armstrong was addressing a group of young students, and he was describing the known versus the unknown. Science endeavors to discover new truths (facts) and toss out bad information once considered to be factual. The totality human knowledge is supported by interleaved facts as we currently know them. New discoveries are achieved--to use the cliche'--by "peeling back the onion" to find the kernels of truth within. These are the protective layers he mentioned. He was very emotional--most probably because he knows these kids will discover and experience things unimaginable to them on that day in the White House. For example, when Armstrong was born in 1930, the hand-held calculator was the stuff of science fiction. The first programmable electromechanical computer was built when Armstrong was eight years old. And he walked on the moon. How emotional might you be in a situation like this? I've tried every trick I can think of (which to be fair isn't that many) and it looks as though the reason the images were omitted from the national archive site is because they are corrupt. For those who don't know, the higher resolution new versions at the PDS site I posted are derived by re-reading the original magnetic tapes. If the tapes had a problem then obviously they weren't able to read them and recreate the image. There's definitely an issue with the parent image LO3_130_M, as when you open this it is all interference and black blobs - nothing like the one from the original negatives shown at the LPI site linked in the OP. I am currently looking at other sources covering the area in question to see what can be seen. In the meantime, here's a view of the crater from the LRO. Another way to say that, would be to say that, the photographs taken from satellites simply do not contain the level of detail necessary to pick out (unothodox, unfamiliar, perhaps even camouflaged) buildings and vehicles. They do have that capability, but you can't make a 50 year old image show details that it never showed in the first place. Messing around with colours, contrast and sharpening can help, but it can also introduce artifacts and errors that hinder. If I may make an observation, old footage is often superior to new footage. Oh sure the new footage has the advantage of being taken more recently and also of being of a higher resolution. But have you ever heard of the Air Brush Money's. Back then they literally had to take the negative, analyse it manually and then use art techniques to obscure or completely replace segment's which they did not want to release to the public. There reason's may have been an official policy of denial, fear of the public panicking with UFO invasion rumours as happened with the war of the world radio broadcast and/or even a fear that any such artefact's even if they were extremely ancient may potentially hold vast technical knowledge which they did not want to alert there enemy's to the existence of and so took the perhaps extremely paranoid and delusional approach of classifying any such artefacts and removing them from the information before it was released to the public, this is of course quite easily done in a compartmentalized system were even senator's and the president may have not had any idea that this policy was in place. As technology has advanced image obscuration technology has advanced significantly, it can perhaps even be completely automated with image recognition software detecting likely sites and those sites then being obscured expertly by the software, as it has advanced in fact the software is now fast enough to do this in real time with any potentially explosive images being sent by a more secure mean's to the real masters behind this charade. This mean's that newer footage which some so expertly quote and tell you to go and compare older perhaps damning footage which may actually show artefacts too may therefore be heavily sanitized and actually show nothing, in fact the obscuration techniques are now so advanced that even an expert analysis of the image may miss or not be able to detect these sanitized images - except when you compare the NEW sanitized images to the older less expertly obscured images were sometimes the human operators whom were manually hiding thing's missed them on occasion. So what I would say is Compare the NEW images to the OLDER images and look for areas were artefacts have been obscured, this is the best way to compile a dossier as indeed some other nations' organization's are likely doing to identify this criminal and I dare say treacherous against the human race activity by a handful of misguided but very powerful men whom perhaps do not even have control of there own clandestine organization's since it may long ago have become a case of the apparatus controlling the operator where that is concerned much as happened to the Stasi of East Germany. Keep and open mind and expect to have the mob throw egg's at you when you speak the truth. Knowledge is power which is why they so desperately want to keep it out of your hand's. 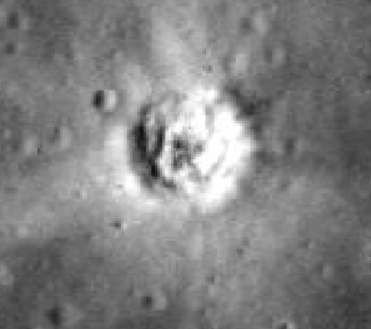 In many locations the Lunar Orbiter photographs, which were published in very large books at the time, are superior to some probes. China and Japan's probes, for example, do not often match the best quality ones. Often, however, the quality of the modern probes far surpasses them, depending on where they are looking. India's Chandrayaan and the LRO are very very detailed. Yes. They are a complete fabrication. Rumours of widespread panic after Welles' radio programme were wildly over-exaggerated. and/or even a fear that any such artefact's even if they were extremely ancient may potentially hold vast technical knowledge which they did not want to alert there enemy's to the existence of and so took the perhaps extremely paranoid and delusional approach of classifying any such artefacts and removing them from the information before it was released to the public, this is of course quite easily done in a compartmentalized system were even senator's and the president may have not had any idea that this policy was in place. You can download the raw images and process them yourself. You do not have to rely on anyone else to process the images. There is no charade. There are no masters. there are, however, plenty of fraudsters and charlatans who really want you to think there is something there because they make money out of their own charade - books, videos, youtube clicks, you name it. Those are the real enemies that need hunting out: liars who are actually deceiving people. They show nothing because there is nothing to show. There is no damning footage. No deliberate obscuration or sanitisation. Look all you want. There isn't anything there. Delude yourself, cross your fingers and wish very hard but you can't make things appear that aren't there. Or actually keep an open mind and consider the possibility that there are no alien artifacts on the moon and that the photographs are not obscured in any way. There is no point trying to hide something in an image when half of the object you are looking at is publicly visible to anyone with a telescope. Ask questions, but don't dismiss the answers before you even start. And for the love of God learn how to use a possessive apostrophe. Some satellites, like Lunar Reconnaissance Orbiter orbiting the Moon and Mars Reconnaissance Orbiter on Mars do have enough resolution for us to be able to pick out one metre long objects, as they have, respectively, maximum resolutions of 0.5 and 0.3 metres per pixel. In an email published by The Virtually Strange Network, entitled "Brookings Report Re-examined", Keith Woodard writes that the Brookings Report: ...did raise the possibility of withholding information, but took no position on its advisability. 'Questions one might wish to answer by such studies,' intoned the report, 'would include: how might such information, under what circumstances, be presented to or withheld from the public for what ends? What might be the role of the discovering scientists and other decision makers regarding release of the fact of discovery?' Those two sentences comprise the report's entire commentary on the subject of covering up the truth. I don't know much about moon pictures tbh but is there HD pictures of the moon? Or are they all grainy and old? It's probably a silly question I'm guessing cause there obviously is.... We are much more advanced since the late 60s. And I'm sure China have been and we know what they are like for taking photos, they will have photographed every inch in super hd.... So if someone could point me in the direction of these pics I would be very grateful.